I love the Poldark Series by Winston Graham. My favorite character is Demelza and this is why I am so captivated by her. A quote from Demelza by Winston Graham. “He sighed and put her hand against his cheek. It was not a disconsolate sigh, for her returning life was a tonic to his soul. Whatever she suffered, whatever loss came to her, she would throw it off, for it was not in her nature to go under…..But chiefly it was because some element had put in her nature to be happy. She was born so and could not change.”Are we born with a certain personality? We all know people who always seem to be happy regardless of their circumstances and there are people who are always depressed and sad. Do we come into this world one way or the other with no hopes of changing? Clearly Ross believes Demelza was born with a happy disposition and could not change. He believes he has her opposite disposition with a perpetually pessimistic outlook. I’ve read so many books about this very topic. You can find a book to support both positions but now many experts agree that our outlook on life is a combination of our inborn personality and life experiences. I can attest to this. My sister and I are two years apart but on the opposite ends of optimism and pessimism. Wish I could say I was the lucky one with the natural sunny outlook but I’m not. I have to work everyday to have a positive outlook and believe the best is ahead of me. Reading Ross and Demelza’s story resonates with me. It reminds me they we do have a choice on how we perceive our life and a choice to how we react and proceed forward when things don’t go our way. This is why I titled my blog Living Like Demelza. 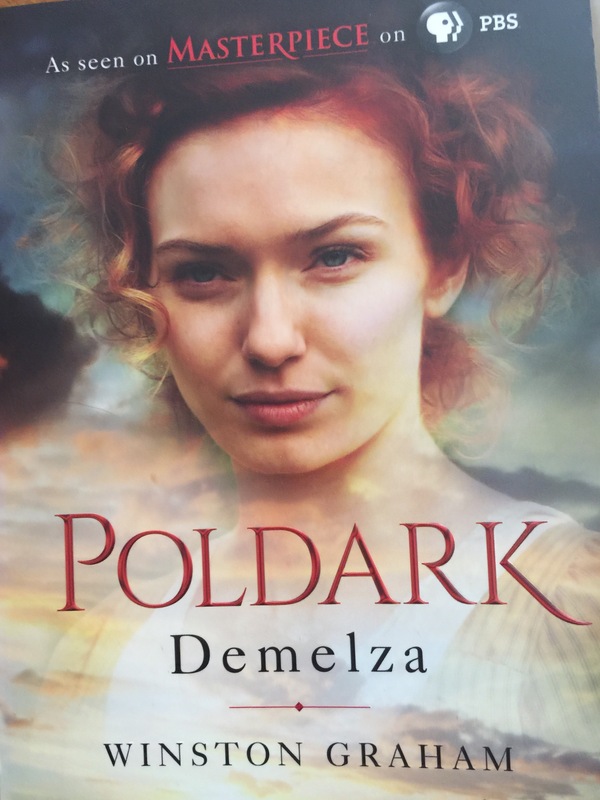 I want to work towards living with Demelza’s spirit and attitude in my own life. I wish you the very best in your quest.